For many Americans, working non-stop with little to no vacation is just a fact of life. One restaurant in Bakersfield, California, however, is breaking that rigid mold with a heartwarming policy that has now gone viral.
. 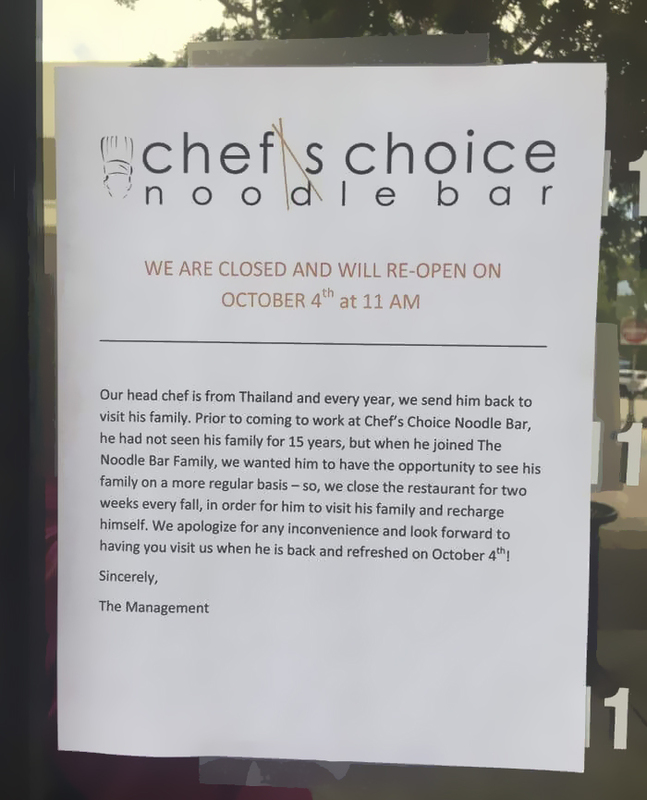 The Thai restaurant was closed for 2 weeks, which some businesses might consider a death sentence. The hand-typed note, however, also revealed the reason for the establishment’s temporary closure, and people on the Internet are actually calling it a brilliant career move, especially in regards to head chef Preeda Piamfa. 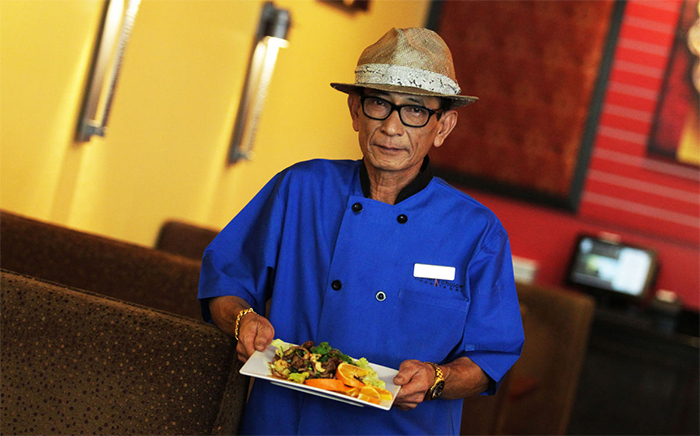 “Our head chef is from Thailand and every year, we send him back to visit his family. 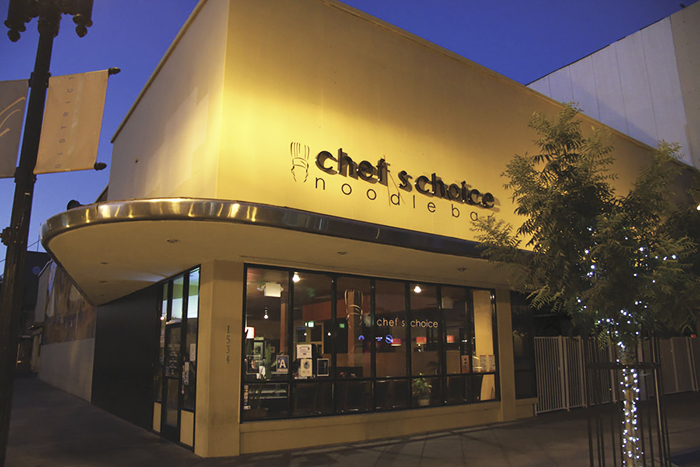 Prior to coming to work at Chef’s Choice Noodle Bar, he had not seen his family for 15 years, but when he joined The Noodle Bar Family, we wanted him to have the opportunity to see his family on a more regular basis – so, we close the restaurant for two weeks every fall, in order for him to visit his family and recharge himself. We apologize for any inconvenience and look forward to having you visit us when he is back and refreshed on October 4th!